Recently I wrote about why I like to avoid commercial bread, as well one of my ‘secrets’ to bread free lunches involving the vitamin-rich fruit, the cucumber! Lately, it seems, I just can’t stop writing about them. 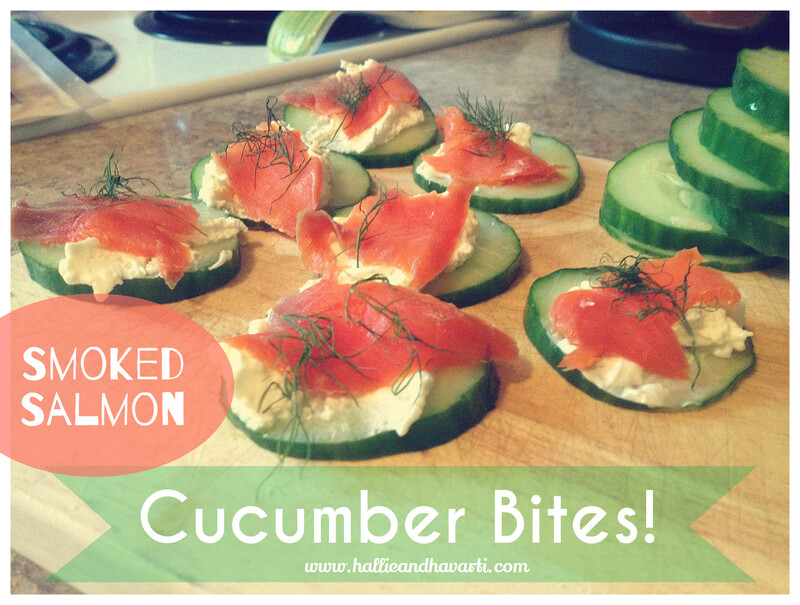 I made these Salmon Cucumber Bites for a staff potluck, and since then, I’ve been asked to make them many times for friends’ parties. They were a hit! And best of all, they take only 5 minutes to make! Spread with cream cheese (light, full fat, or substitute Greek yogurt for an even healthier snack). Top with a fresh morsel of smoked salmon (The fresher the better! If you’re really ambitious you can smoke it yourself. Alternatively, most grocery stores carry it frozen in packages; simply let thaw). Top with a snip of fresh dill! I’ll have to try these!! !